Like many other tech companies from around the world, Asus has had a busy time at the ongoing CES 2018 in Las Vegas. The company has announced the Zenbook Flip 14 laptop, the Vivo V272 and V222 all-in-ones, the ZenFone Max Plus smartphone, the ROG Swift PG65 gaming display, a 6 Gbps ax router and even an Alexa-integrated speaker that doubles up as a router. However, one little product that managed to slip by relatively unnoticed in all this melee is the ‘ROG Bezel-free Kit’ that Asus says, will solve a problem many gaming enthusiasts with a multi-monitor setup have to endure silently – the unseemly side-bezels. Asus says that with the Bezel-Free Kit, it is employing ‘optical camouflage’ to create a more seamless picture without any distraction for a completely immersive gameplay in a panoramic, multi-monitor setup. The kit itself is as old-school as it gets. it includes long strips of thin lenses that the company says was developed in association with one of its backlight suppliers. According to Asus, the lenses are made a type of transparent thermoplastic called Poly methyl methacrylate, or PMMA, best known by its trade name – Plexiglass. The strips are to be placed along the bezels at a 130-degree angle to create the illusion of a single, uninterrupted screen. The optical micro-structures that make up the PMMA strips refract light, bending it inward to hide the bezels underneath. Asus didn’t give away the price of the ROG Bezel-free kit, but says that it will be available in the first half of his year. 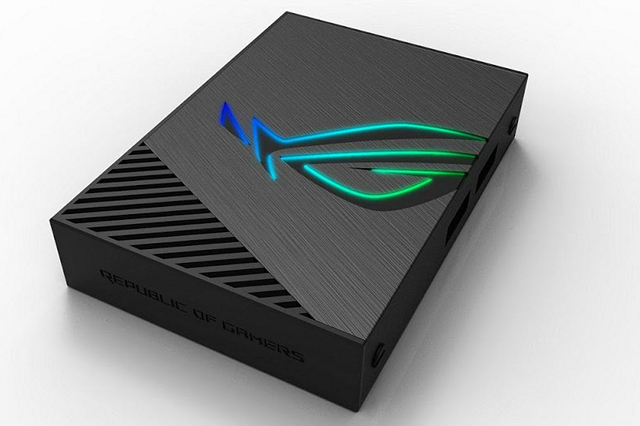 The bezel-free kit is not the only ROG-branded accessory from Asus at CES this year. 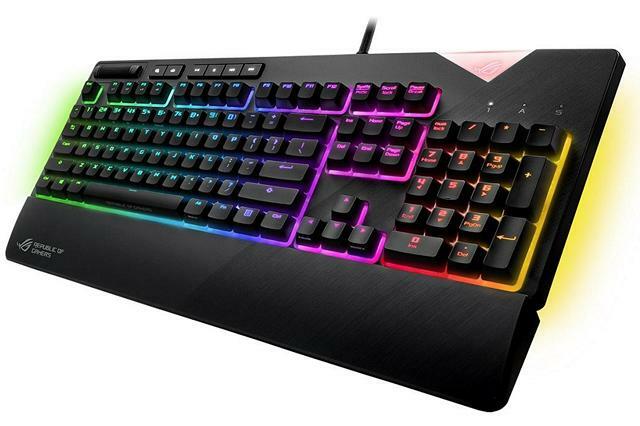 First off, we have the Strix Flare mechanical RGB gaming keyboard that comes with Cherry MX RGB switches, dedicated media keys, a USB passthrough port and a detachable wrist rest. Much like the bezel-free kit, Strix Flare will also be available in the first half of this year, which is when the pricing is also expected to be announced. Asus is also going all-out on its proprietary Aura Sync lighting technology that now gets a standalone, quad-channel RGB controller that can add bias-lighting (popularly known as the ‘halo-effect’) to a gaming monitor to sync with on-screen action. Called the ROG Aura Terminal, the device can create bias lighting that responds to the color of the pixels at the edge of the monitor. Asus had launched the Aura SDK for developers in the days leading up to the CES.